Furst Electrical has developed a reputation for our capabilities in industrial automation. 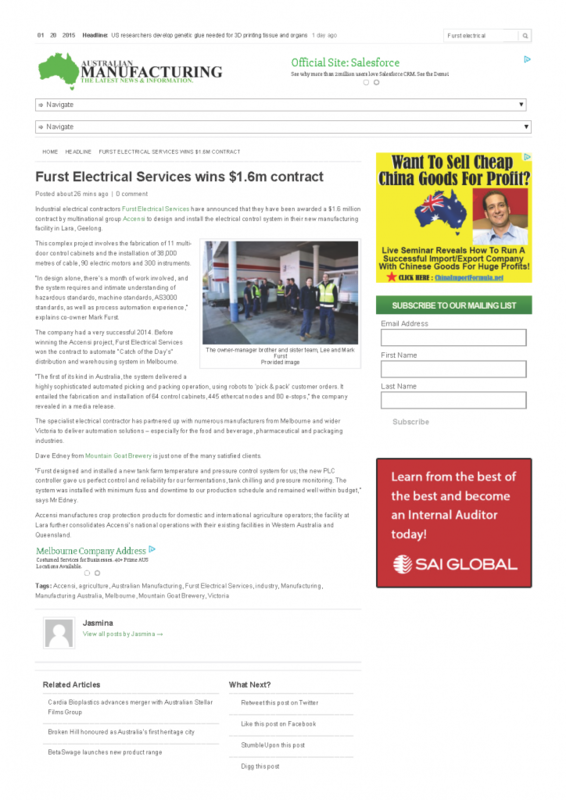 Our knowledge and experience are highlighted by The Australian Manufacturing Magazine. Read the article in Australian Manufacturing Magazine.